Stenhousemuir went into this game knowing that they needed to win and Ayr drop points to see the Warriors qualify for the play-offs. With Sean Higgins out through injury John Gemmell started for the first time since January. He and Ben Greenhalgh were hoping to get a decent supply from an attacking midfield with Darren Smith and Josh Watt down the wings and Bryan Hodge and Sean Dickson in the middle. At the back with the exception of Stewart Greacen it was a youthful back four with Alan Lawson replacing the injured Ross McMillan, Robbie Duncan returning to right back and with Ciaran Summers at left back it meant three teenagers in defence. The Warriors had beaten Brechin in the previous three encounters this season and they got off to the best of starts in this one when referee Greg Aitken awarded them a penalty in the 11th minute after Gary Kenneth was adjudged to have handled a Darren Smith cross. John Gemmell fired home though Brechin keeper Graeme Smith was unlucky not to stop the effort as it squirmed under his body. There could have been another penalty in the 14th minute when Darren Smith was bundled to the ground by Darren Petrie as the Brechin defence struggled to cope with a swift counter attack by the Warriors. This time though no award was given. Gemmell came close to adding to his tally in the 21st minute when he blazed an effort just over the bar from 14 yards being picked out by a cross field pass by Summers. Brechin were struggling to get into the game but Robert Thomson did create an opportunity for himself in the 27th minute through good footwork but his final effort hit the side netting. Josh Watt almost scored on the half hour after he picked the ball up in midfield and was allowed to step forward before hitting a powerful shot with his ‘weaker’ right foot off the bar from at least 30 yards with the keeper beaten. The Warriors were fairly comfortable at this stage playing the better football but they had a warning and a let off in the 42nd minute when the defence was opened up after a kick out by the Brechin keeper. The ball was eventually played into the danger area by Alan Trouten to Bobby Barr who from close range beat Chris Smith only to see his effort rebound off the post. The Warriors went into the half time interval deservedly winning but they expected Brechin to be fired up for the second period. The City did indeed get back into the game in the 51st minute when Ryan Ferguson played the ball through the heart of the Stenhousemuir defence to Andy Jackson who was upended by Chris Smith before he could get to the ball. The referee awarded a penalty straight away and sent off the keeper for stopping a goal scoring opportunity. Dean Shaw came on as a replacement for his first appearance since February 2013 when he was also a sub. His first action was to pick out of the net after Trouten fired the penalty into the opposite corner of the net. 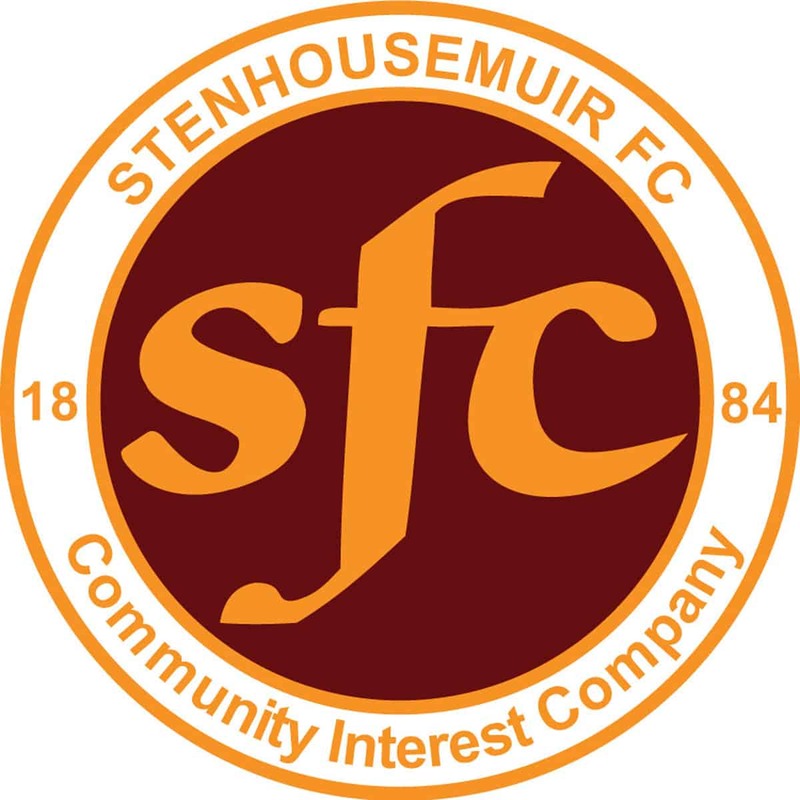 To Stenhousemuir’s credit they kept battling despite being down to ten men and they were awarded another penalty in the 61st minute. A quick throw by Gemmell was headed backwards by a Brechin defender and with Greenhalgh about to pounce he was hauled to the ground by Kenneth. With Petrie also in close attendance it looked as if Kenneth was only going to be cautioned but after protests by the Stenhousemuir players and consultation with the assistant Thomas Shaw the Brechin defender was sent off. Gemmell once again took the spot kick and once again he scored though this time Graeme Smith was nowhere near it. Three minutes later Shaw made a decent save from Trouten before Stenhousemuir extended their lead in the 69th minute. This had followed a good passing move before Brechin had failed to clear their lines properly and when the ball was sliced by Steven Robb to Josh Watt he played the ball out to the overlapping Robbie Duncan, his cross was met by Gemmell who headed the ball off the post but it fell to Greenhalgh to tap into the net. There were a couple of scares after this with Shaw making a great tip over from a header by Andy Jackson and other one when Barr had a chance to shoot when through but elected to pass into the middle and Greacen almost put the ball into his own net but eventually cleared. In the end Stenhousemuir were victorious but failed in their quest as Ayr also secured a win. This means that the Warriors came fifth only a point ,and goal difference, out of the play-offs. They will look at the Airdrie game as the one decisive slip up in recent weeks but the season is not decided on one game but thirty six. There are signs of optimism though and hopefully Scott Booth will be able to build on this next season. Brechin City – Smith, McLean, Petrie, Hay, Kenneth [so 61], Cameron [Robb 65], Trouten [b41], Ferguson, A.Jackson [B89], Barr and Thomson [S.Jackson 74]. Subs not used – McLauchlan, Moyes, Carcary, Brown and Nelson.